Is Amazon Anytime on the way? Messaging apps are big business. 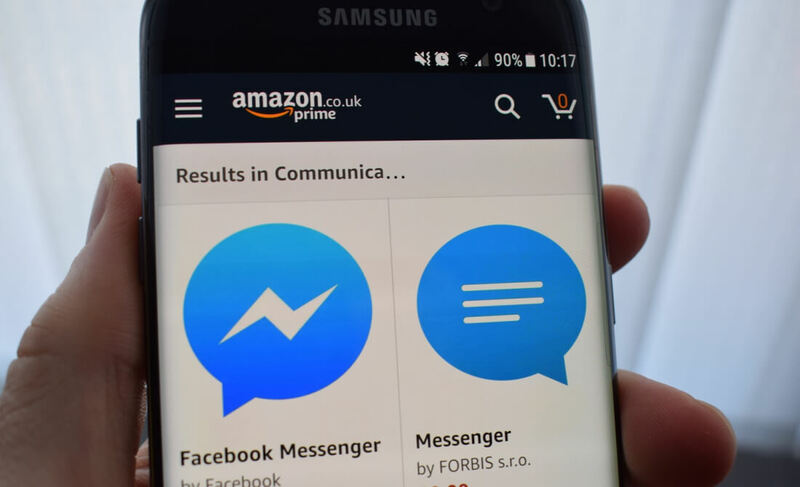 With the number of users they pull in (Facebook Messenger recently passed 1.2 million) and the potential for advertising, it’s no surprise to find more companies want in on the action. According to AFTVnews, the next player looking to enter the market might be Amazon. The retail giant has reportedly been sending out customer surveys about a new messaging service called Anytime. Amazon wants to know which features users consider the most important when it comes to such apps. The standalone application appears to combine common messaging features such as video and voice calls, encrypted messages, and filters with more advanced tools like those found in Messenger, including the ability to interact with businesses, @mentions, and playing games. Interestingly, Amazon claims people will be able to add their friends using names alone – no WhatsApp-style phone numbers required. Exactly how this will work is still unclear. Additionally, Anytime users can utilize Amazon services (music and food ordering), shop on the site, and perform functions like splitting bills and making reservations. There’s no word on when the chat app will arrive. Amazon has yet to respond to questions about Anytime, so we don’t even have confirmation that it’s real. The misspelling of the word encrypt (“encryt”) throws the survey’s legitimacy into question, though Amazon has had problems with typos in the past. However, the chances that the company is working on Anytime are quite high. Amazon already has Chime, a video conferencing and chat service aimed at businesses, and 'Alexa Calling' enabled free calls and messages on all echo devices when introduced back in May. Moving to a dedicated, standalone messaging app feels like the next logical step.